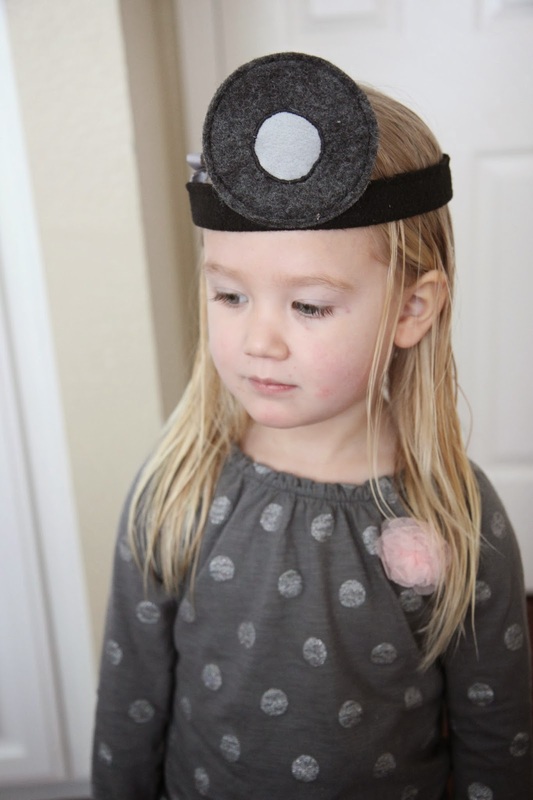 A few weeks ago we were excited to get an awesome "Let's Play Doctor" Kit in the mail from Jessica Hipp Designs. Jessica Hipp Designs specializes in hand crafted children's toys to promote the development of pretend play and early learning skills! My 3-year-old daughter loved looking through the package carefully and pulling out each piece of the pretend play doctor set. She has really started having fun with pretend play in the past six months and loves the opportunity to dress up and play with me, her friends, and her big brother! As many of you know from the various felt and no-sew projects we share here on Toddler Approved, I am not a seamstress, so I absolutely love finding good quality items made by other talented people for my kids to play with! Jessica Hipp Designs has so many fun pretend play props that you can purchase for your kids or as gifts for family and friends. Did you know that pretend play builds social and emotional skills, helps with language development, builds thinking skills and also nurtures the imagination in little kids? It is really important! One of the best ways to help young kids get interested in pretend play is by putting together a collection of pretend play props and costumes and then role-play with them! 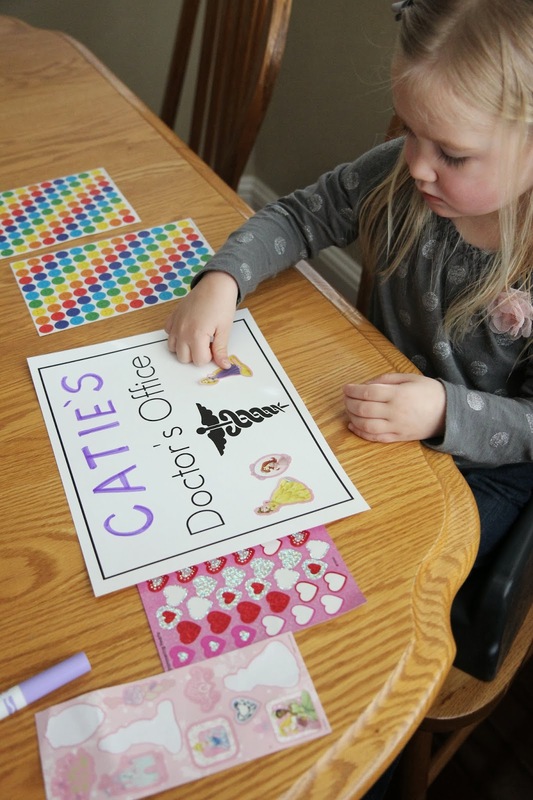 You can even set up pretend play spots in your home or preschool. Here are a few examples of pretend play stations I've set up in our preschool and in our home for my kids. What I think is great about Jessica's products is that they all use multiple layers of fabric to allow decorative stitching to remain hidden. The multiple layers also increases the stability and durability of the items! The pretend play kit feels very durable and heavy duty unlike some of the more flimsy products we've purchased before that are broken right away by active and curious kids. All of the items can also be machine-washed as long as you follow Jessica's careful instructions! All we needed was a little painter's tape to adhere the wall charts to the walls and we were ready to play. After we checked out each of the objects in the kit we set up a simple Doctor's office for our stuffed animals and started playing! To get started we used a cardboard box and some paper to create an exam table for the animals! We also grabbed a little table and chair for the doctor to use. 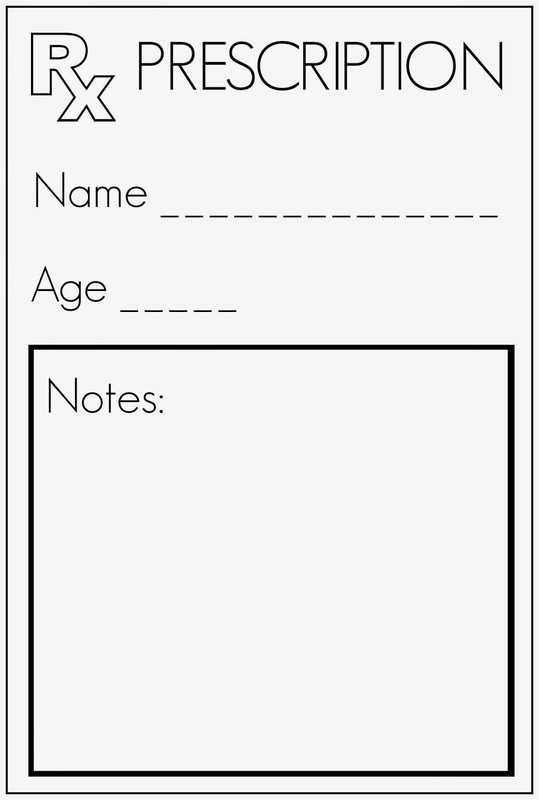 Our real doctor uses a computer now to input all of her data during appointments... but since I love to add a writing element to pretend play activities, we printed off and decorated a little Doctor's Notebook instead. We grabbed stickers and our favorite pens to help us personalize the notebook. 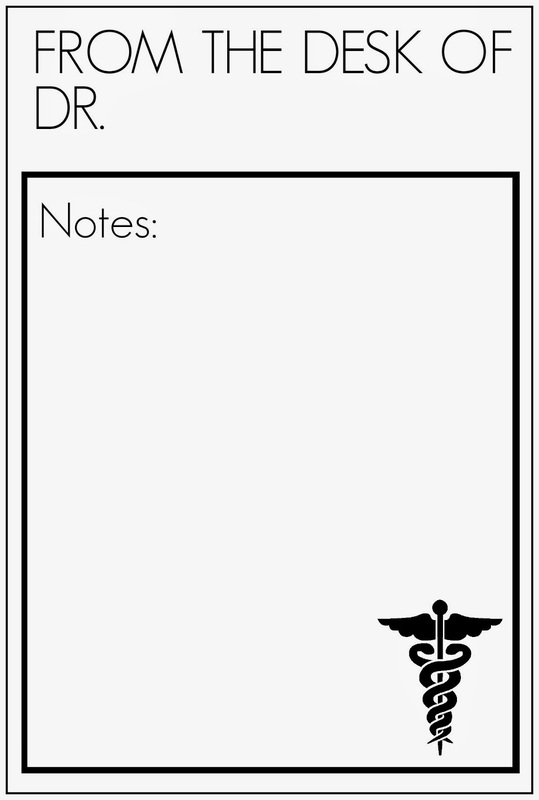 One part of the notebook was used for prescriptions, one for new patients, and another part was used for notes. 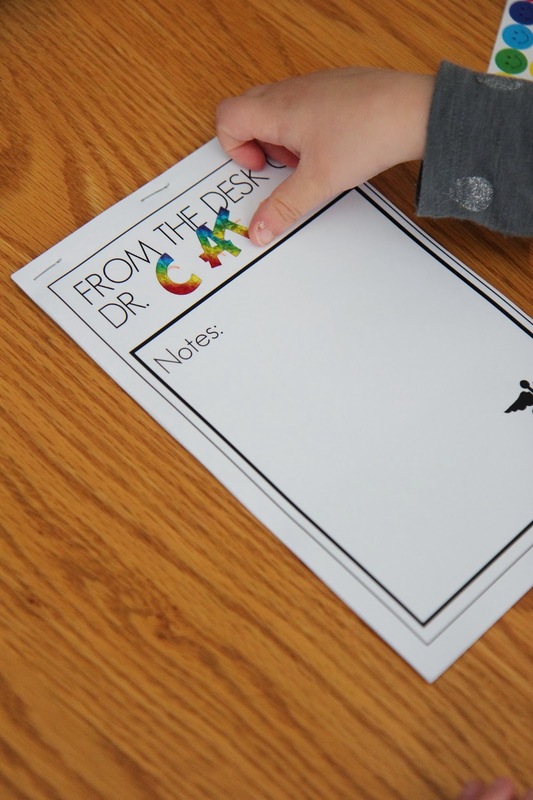 You can download all three printable pages below so that you can make your own Pretend Play Doctor's Notebook! I included about four of each page in our Doctor's notebook and then stapled them together at the top. 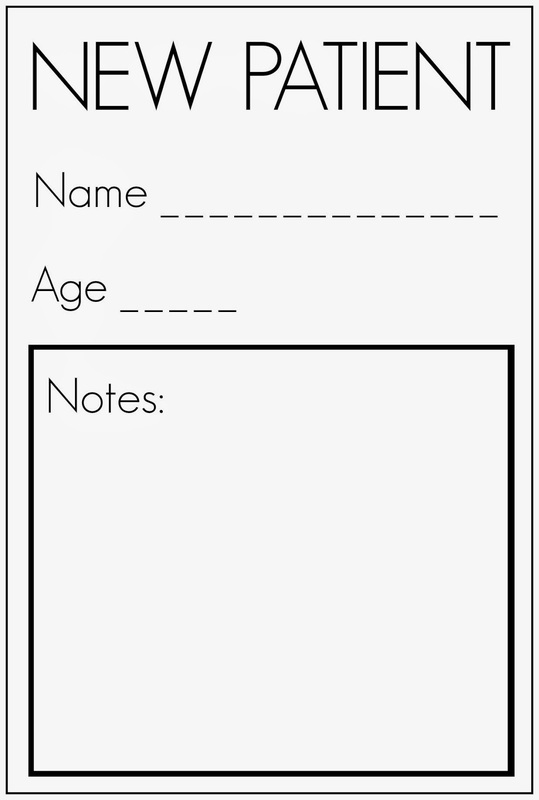 You can also staple a thin piece of cardboard to the back to make the pad easier to write on and more sturdy. 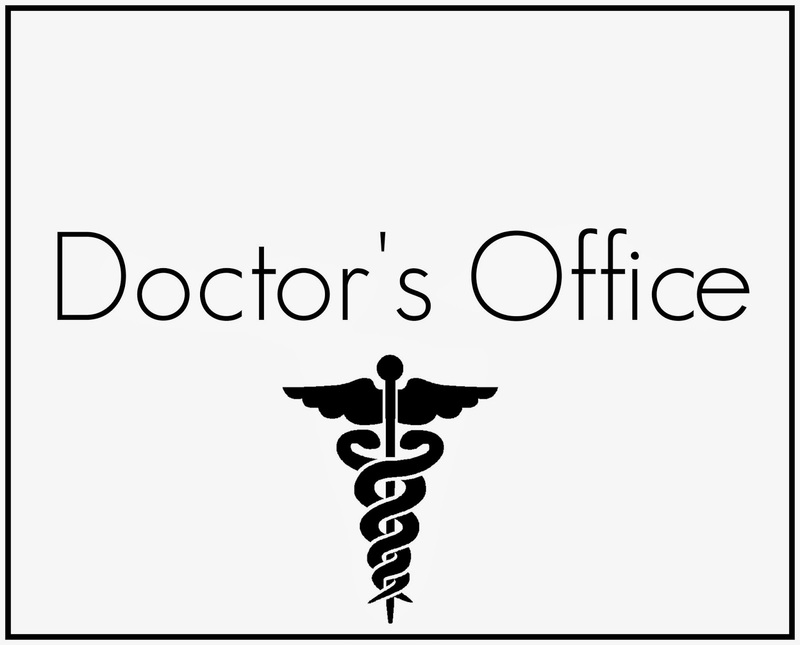 We also created a 8.5x11 Doctor's Office Sign that we personalized with stickers and markers and hung up by our office. As we played, we talked about all of the different ailments that we could have or that our animals could have and how we could make them feel better. My daughter's absolute favorite solution was always a band-aid!! She loved stacking the band-aids and plastering them all over her animals. Since my daughter was so fascinated by the band-aids we also create a really basic counting band-aids game that you could do with the felt band-aids in Jessica's collection or just with real (unused and unopened) band-aids you have lying around the house. To play you need at least 6 band-aids along with a die and a small box. This game is perfect for little ones who are learning to count and say numbers 0-6. Version 1: To play you scatter the band-aids on the table and then roll the die. Whatever number the die lands on is the number of band-aids you need to stick back in the box. Then you just dump the band-aides out of the box and roll again. My kids always seem to love the dumping part the best. 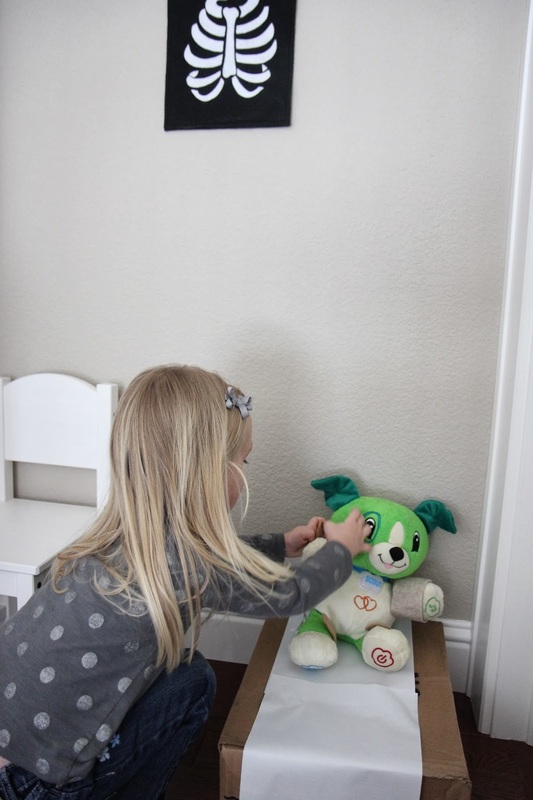 Version 2: You can also grab a stuffed animal and when you roll the die put that many band-aids on your stuffed animal!! 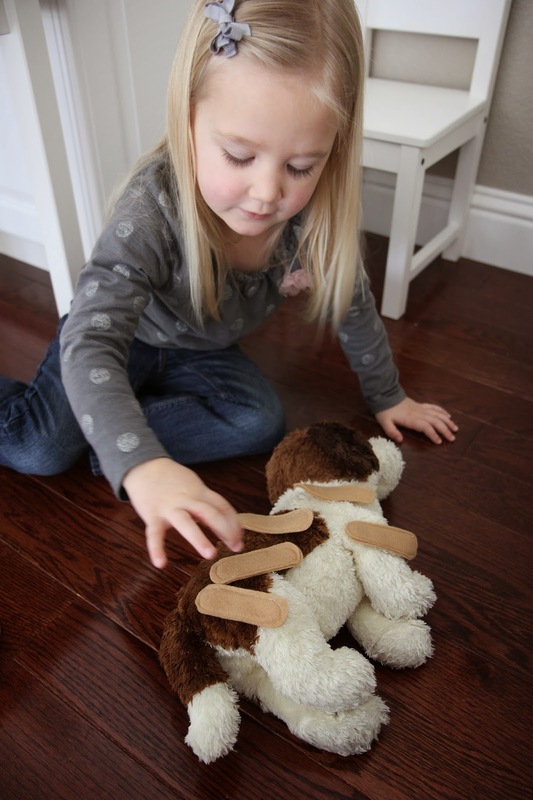 Then shake them off... roll again... and put more band-aids on your stuffed animal. Let's Play Doctor Kit Giveaway and Coupon Code! Like what you saw? 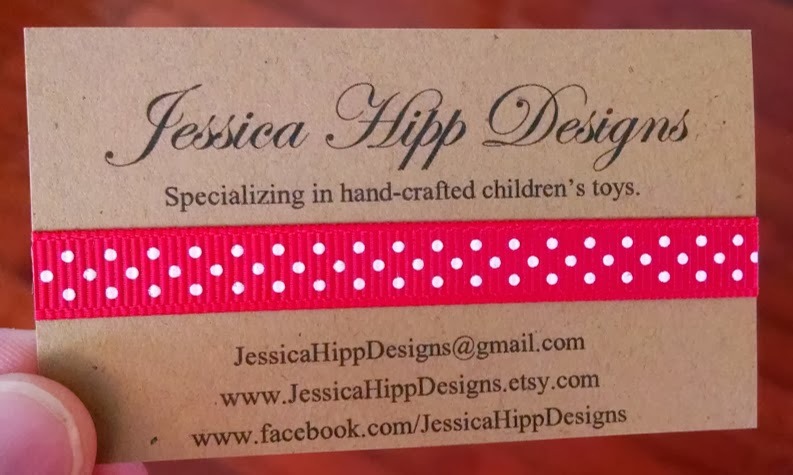 Jessica Hipp Designs is offering 10% off any items ordered from her Etsy shop with the coupon code TODDLERAPPROVED10! This offer will be valid from Friday, March 7 until Saturday, March 15th at 12:00am PST. You can also follow Jessica Hipp Designs on Facebook, Twitter, Pinterest, and Instagram to keep up with new products and other cool discount offers. Jessica is also offering a special "Let's Play Doctor Felt Pretend Play" giveaway gift to ONE Toddler Approved reader! Our giveaway winner will be able to choose THREE of the items in the Let's Play Doctor Kit to have specially made for them! 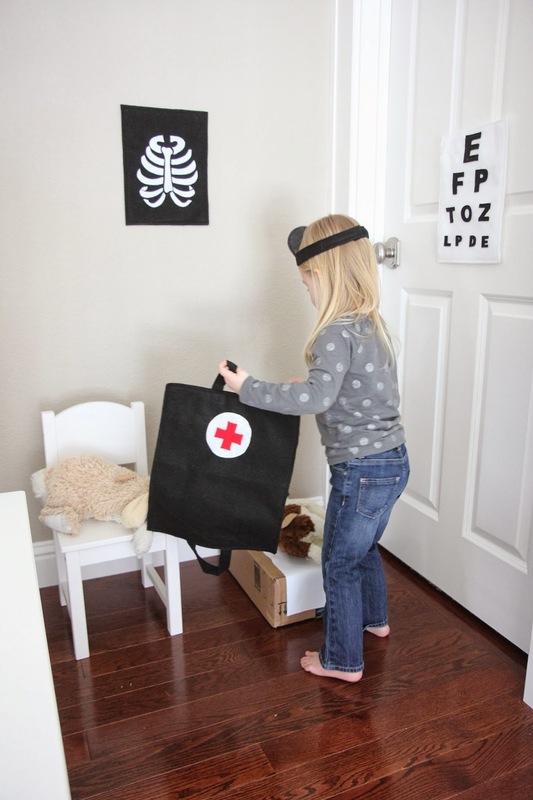 (Just to review, here are the items you can pick from: Felt Doctor's Bag Kit, Felt Band-aide Kit, Felt Child's Toy "Head Mirror," Felt Eye Chart, and a Felt Toy Chest X-Ray. You can receive up to 7 entries by completing all of the tasks mentioned in the rafflecopter below. The winning entry will be drawn on Saturday, March 15th. I will notify the winner via email. See our Official Giveaway Rules for complete guidelines. US Residents only. No PO boxes. 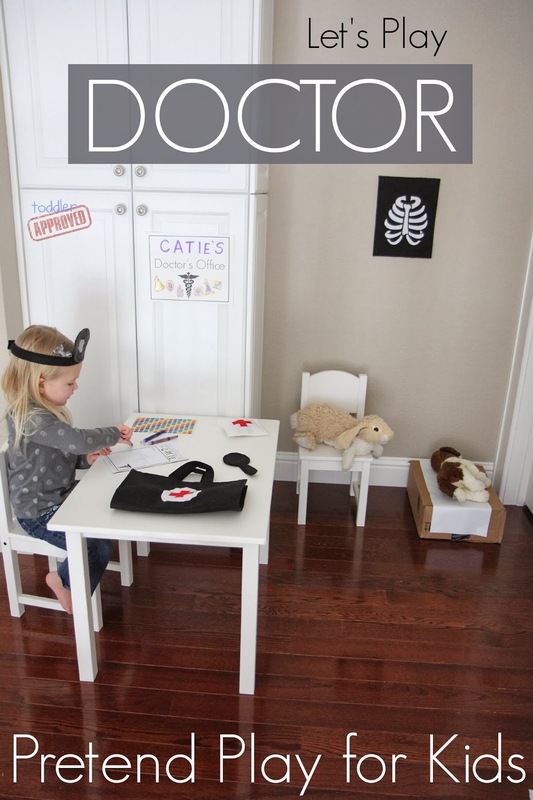 Disclosure: We received a Let's Play Doctor Kit for free from Jessica Hip Designs to review and giveaway to you! Thanks Jessica for all of the fun we had playing with our kit! It is awesome! Oh My! Super cute pretend play set! I'd choose Eye Chart, XRay, and band-aid set! These are so great! My class plays doctor almost every day!! Oh oh oh! I love this and my little dude would too. He would pick the bag, band aids, and eye chart! Oops, forgot my 3. I also would choose the band-aid set, felt eye chart, and X-Ray. LOVE LOVE LOVE the kit and the printables!! Ellie "read" the post with me and wants to play doctor now. So fun! How adorable! I'd pick the Eye Chart, XRay, and band-aid set! This is soooo cool! I would choose the Felt Doctor's Bag Kit, Felt Band-aide Kit, Felt Child's Toy and Felt Eye Chart. Thanks for this opportunity! Super cute. We pick xray, band aids and doctor bag. Cute! 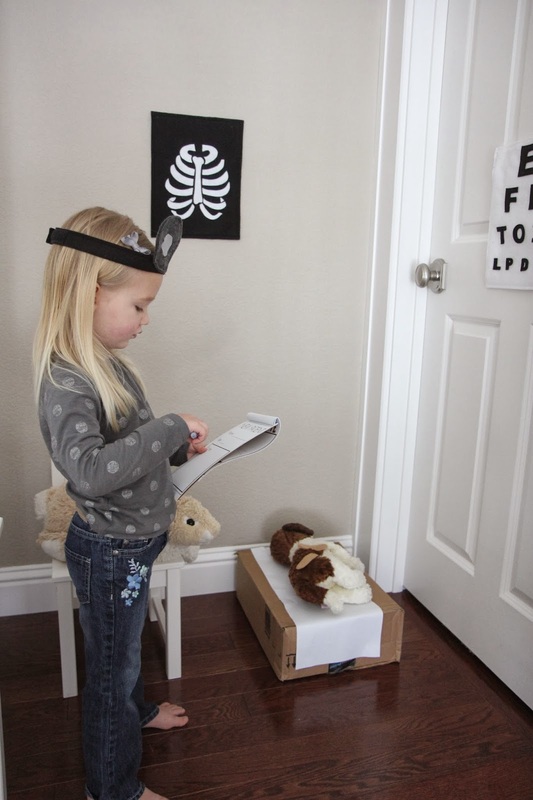 Love the x-ray, band-aids and eye chart! My three year old looooooooves playing doctor!!!! I'd pick the band-aid set, felt eye chart and the head mirror. What a super cute set!! My class would love this! Eye Chart, XRay, and band-aid set. This is wonderful. 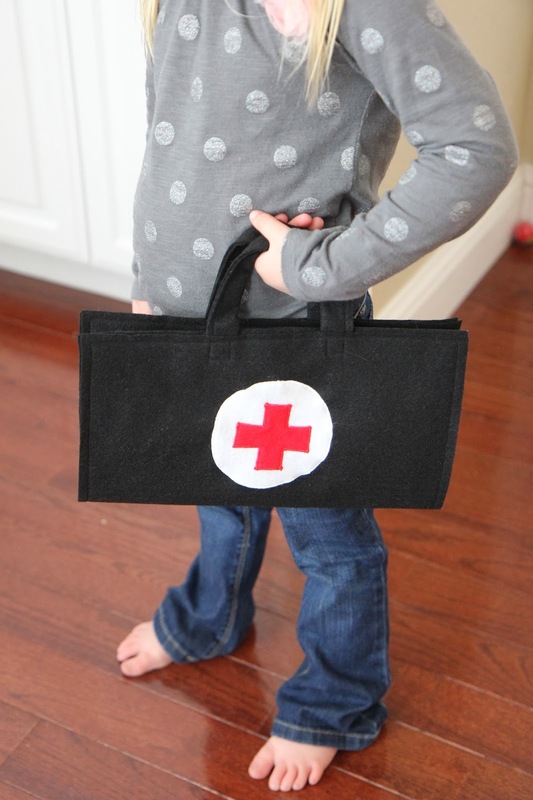 I would choose the felt doctor's bag kit, the felt eye chart, and the felt band-aide kit. This is so cute!!!! I love it!. All of it!! I love it. All. of. it! So stinkin' cute! So Cute! My daughter would love them all! I think we'd have to narrow down to the X-ray, eye chart, and Band-Aid set probably. My daughter would love them all!! We'd probably have to narrow down to the eye chart, x-ray and band-aids as well though. So cute! 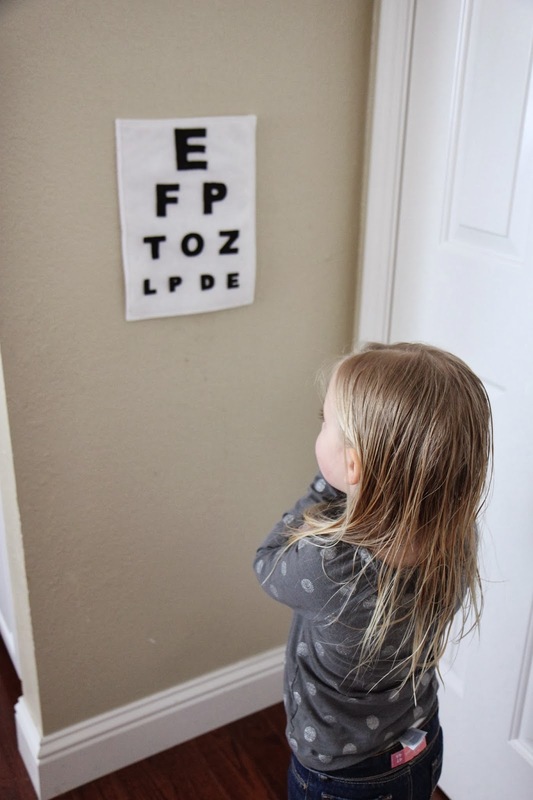 My boys would love the eye chart, band-aid set and head mirror. So cute! 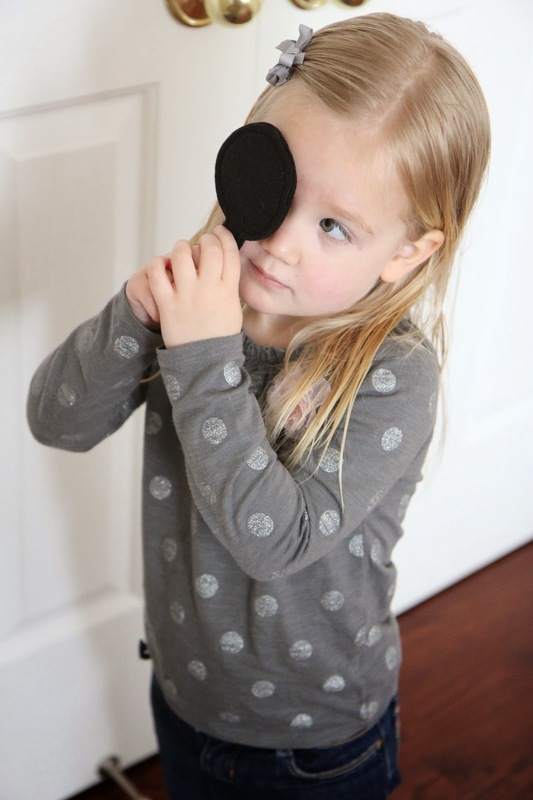 My boys would love the band-aid set, felt eye chart and head toy head mirror. Love her items!! I would choose the Felt Doctor's Bag Kit, Felt Band-aide Kit, and the eye chart!! I'd love the doctor's bag, the band aid kit and the eye chart! 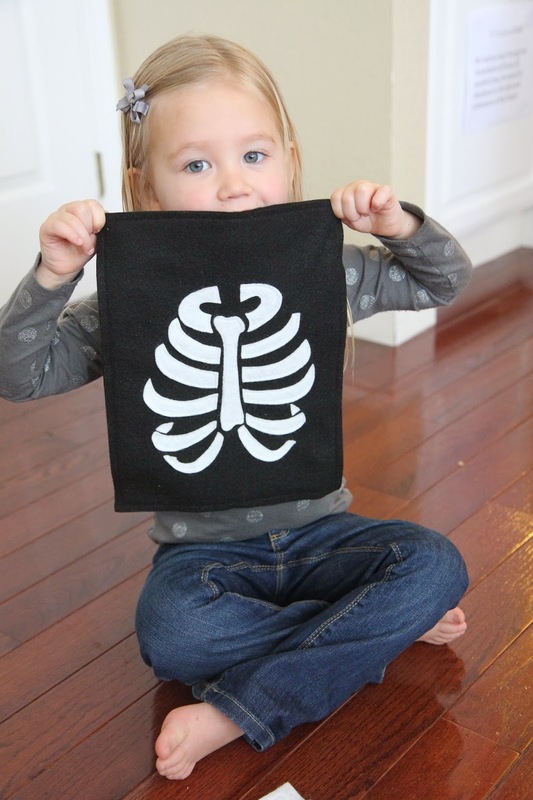 My daughter would love playing with the felt doctor's bag, eye chart, and x-ray. 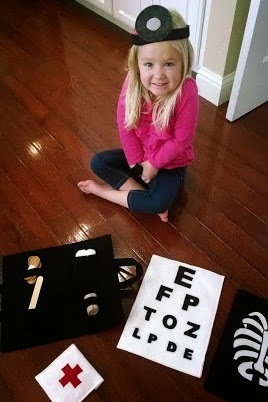 My daughter would enjoy the doctor's bag, eye chart, and x-ray. So fun!! My son would love the dr bag, bandaids and X-ray!! I'd like the x-ray, eye chart, and band-aid kit. This is just adorable!! 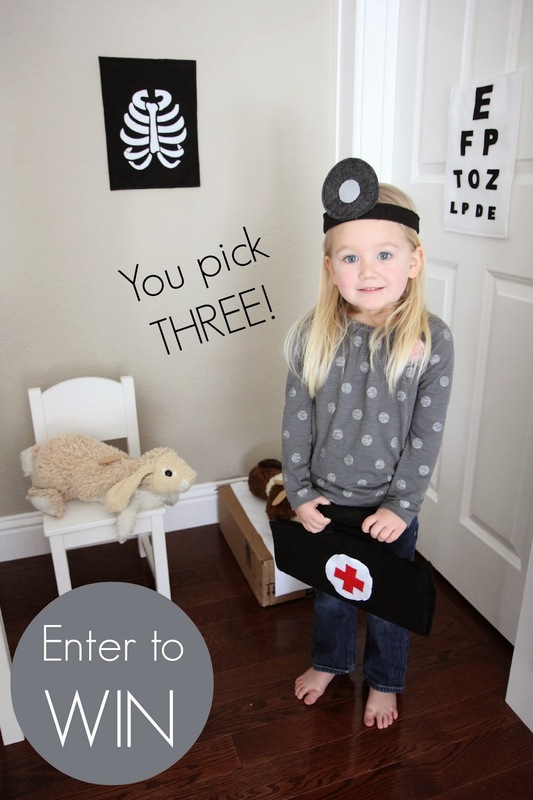 We would love to win the doctor bag, the band aid kit, and the eye chart! Thank you for such a fun giveaway - love this. My 3 year old would love this! I would choose the eye chart, band-aid set, and the doctor's bag. This is SO cute!! I would choose the Doctor's bag, bandaids and x-ray. My 4 year old neice would have fun with the bandaid kit, the Drs. bag and the pretend light (head piece). bandaids kit, doctor bag and chest x-ray... very cute set and the printables you've added go perfectly! What an adorable kit! We would love the doctor bag, x-ray, and band-aids. This Doctor Kit is so precious. I would love the xray, doctor bag and band aids. I also would choose the band-aid set, felt eye chart, and X-Ray. This is so adorable! We'd love the doctor bag, x-ray, & felt eye chart. This is such a cool giveaway! We'd love the doctor bag, band-aide kit and the chest x-ray! How do you pick only three? I'd pick the bandages, the headlamp and the eye chart. I would like everything! but if i have to choose, it would be the bag, band-aid, and eye chart. What a great little kit to encourage dramatic play!! My day care children would LOVE this! are prices for the kits? wow, hard to choose. guess it would be the eye chart, doctor bag and head lamp. soooo cute! wow, how to choose.... doc bag, eye chart and head lamp. thanks for running this fun contest. your products are sooo fun! That is too cute! I love the band-aides, head mirror and the chest x-ray. So simple yet so real looking. Adorable! My daughter would love these. We would choose Felt Doctor's Bag Kit, Felt Band-aide Kit, Felt Child's Toy "Head Mirror," . I am a private sitter, with curriculum based learning, changing themes out each month. This would be a wonderful addition to our toys. Felt Dr.'s bag kit, Felt bandaid kit, Felt toy chest x-ray. Love it. Very cute idea!